The analyst noted that due to weakening macroenvironmental factors throughout Q1/19, Raymond James lowered some of its estimates on Valero for that quarter. For one, it reduced its Q1/19 earnings per share (EPS) forecast to $0.20 from $0.50. “Valero’s low-cost operations should keep the company in the black, but a difficult macro clearly will weigh on refining margins,” he added. The financial services firm also dropped its 2019-2020 EPS projections on Valero to $6.50 and $10.75, respectively, from $7 and $11. It estimated companywide margins of $7.74 a barrel in Q1/19 versus $11 a barrel in Q4/18. Thus, it modeled the refining segment’s operating income at $449 million compared to about $1.5 billion in Q4/18. Raymond James has an Outperform rating and a $100 per share target price on Valero, whose current share price is around $89.32. Analyst Holdings and Compensation: Equity analysts and their staffs at Raymond James are compensated based on a salary and bonus system. Several factors enter into the bonus determination including quality and performance of research product, the analyst’s success in rating stocks versus an industry index, and support effectiveness to trading and the retail and institutional sales forces. Other factors may include but are not limited to: overall ratings from internal (other than investment banking) or external parties and the general productivity and revenue generated in covered stocks. The analyst Justin Jenkins, primarily responsible for the preparation of this research report, attest to the following: (1) that the views and opinions rendered in this research report reflect his or her personal views about the subject companies or issuers and that no part of the research analyst’s compensation was, is, or will be directly or indirectly related to the specific recommendations or views in this research report. In addition, said analyst(s) has not received compensation from any subject company in the last 12 months. Raymond James & Associates, Inc. makes a market in the shares of Valero Energy Corporation. Raymond James & Associates received non-investment banking securities-related compensation from Valero Energy Corporation within the past 12 months. Additional Risk and Disclosure information, as well as more information on the Raymond James rating system and suitability categories, is available here. 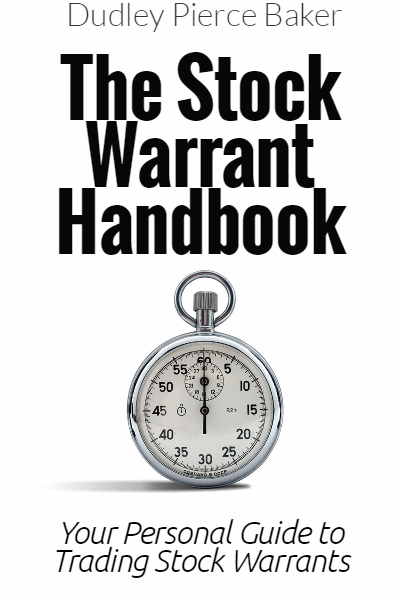 How Many Stock Warrants Are Trading? Disclosure/Disclaimer Statement CommonStockWarrants.com is not an investment advisor and any reference to specific securities does not constitute a recommendation thereof. Neither the information, nor the opinions expressed should be construed as a solicitation to buy any securities mentioned in this Service. Examples given are only intended to make investors aware of the potential rewards of investing in Warrants. Investors are recommended to obtain the advice of a qualified investment advisor before entering into any transactions involving stocks or Warrants.